Hey Love: Finds Under $40! Tangerine Tango! Finds Under $40! Tangerine Tango! Hey dolls! The Pantone Color of the Year this year is Tangerine Tango. Tangerine Tango is an orange that is bright, sophisticated, and has a lot of depth to it. I've been seeing this color all over the place and have yet to buy a single item! This week's Finds Under $40 has tons of great pieces from tops to bottoms and even accessories in case you don't just want to jump head first into the Tango! My favorite pieces are the skater dress and the pumps! What's your fave?! Have you entered my Shabby Apple Giveaway yet?! I love all the accessories! they're all gorgeous! I love the dresses and the skirt!! I love the 2nd blouse you posted. And the ring at the bottom. So cool! Topshop right? Wow - I can't believe all these things under $40!!! I'm going to be doing some online shopping today!! Thanks girlie! Gorgeous finds! :) :) :) Thank you for sharing! I love a good deal! Love this colour, and love the items you picked! i pretty much need everything in this post. awesome picks! loving the tangerine's! :) its really such a happy colour! They are a must !like them loads!! you found so many good items!! thank you to sharing with us. Great pieces! Love those tops and the shorts on the right. LOVE your blog and so glad we have kept in touch! These are amazing!! I can't decide what's better..the color or the price! GREAT finds! Love Tangerine! Love what you selected too!! These are all great selections! I just bought a pair of orange jeans and a skirt not too long ago but that necklace is so pretty! Going to check it out at Charlotte Russe tonight! love orange, love your post!!! Love these colors and love the price! Love almost everything!!! Great selection! All these picks are great! 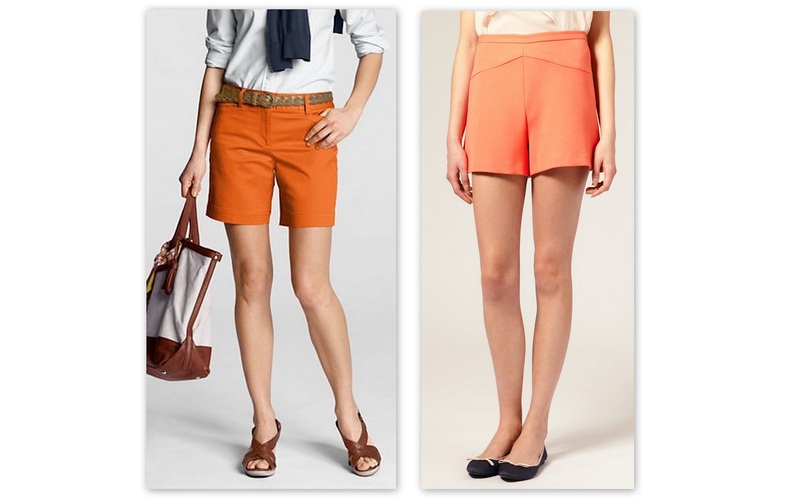 I love the softer tangerine tones - more corally and peachy ones, although the bright orange is amaazing in the right outfit! love that first picture on the left! hi hunny, wow, you are so skilled at finding these amazing things...I think you would make a fantastic shopping partner! 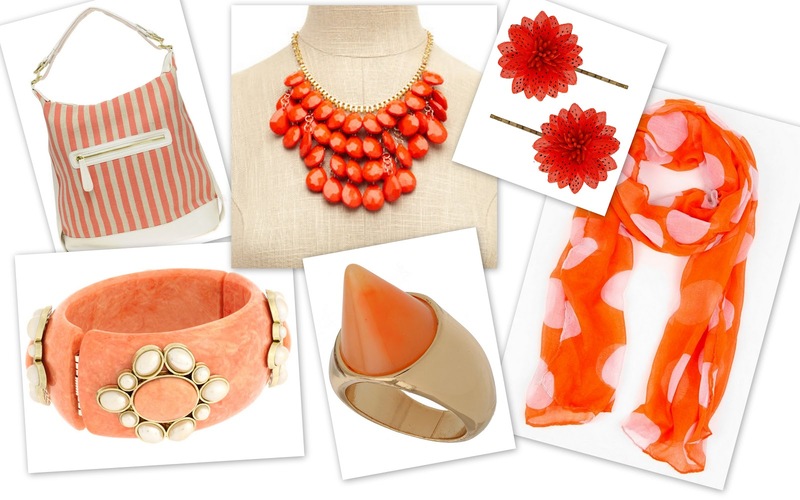 Love so many tangerine tinged things in this post! As always, such great choices! I love the first top. The color is just so rich and vibrant. I also really like the sandals from Charlotte Russe and your accessories collection. It's all so great!! 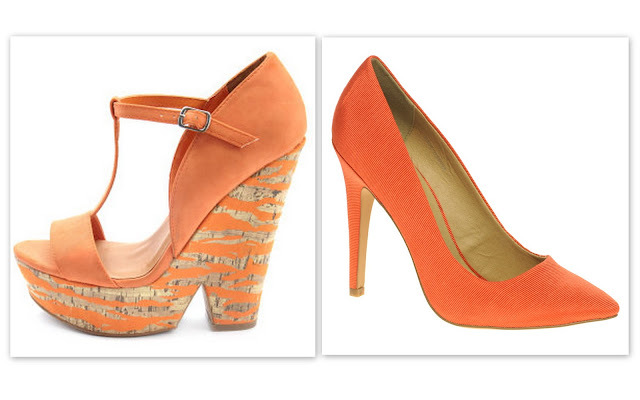 Love all those tangerine pieces, especially the shoes and the accessories! I always love deals like these which do not break the bank!! Everything on this list has such great prices! I've got my eye on those pumps! I can't get enough of that great color. 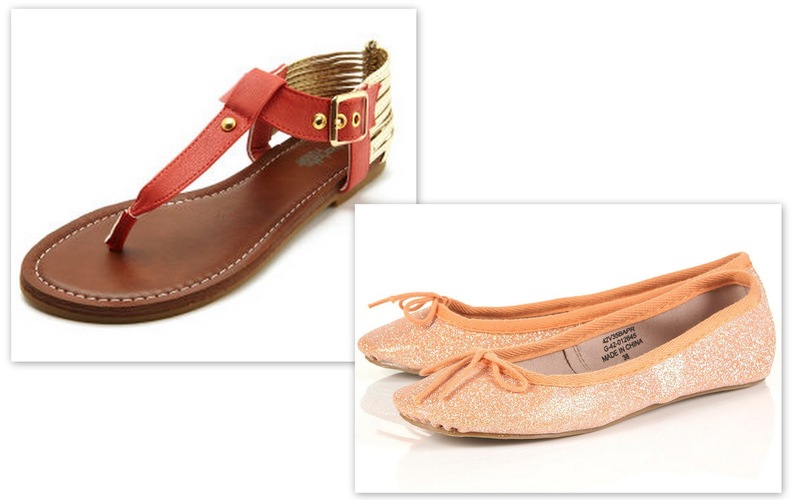 I love what you picked out too, those glitter flats are so fun. what gorgeous picks! i love the shorts! thanks for your comment hon! Loving orange! I want those orange sandals! I think orange is a good color that matches most skin tones. That forever21 dress is to die for. I so want coral pants. I'm going to have to check out CR. much for spring and summer. Some of these are so beautiful! I love this color! Great post! I like your post so much! These finds are really gorgeous! Hey thanks for your comment :) I´m loving this blog!! P.S. this color is amazing. Just bought some lipstick and its awesome for summer. LOVE, LOVE this color this season. That necklace is gorgeous!